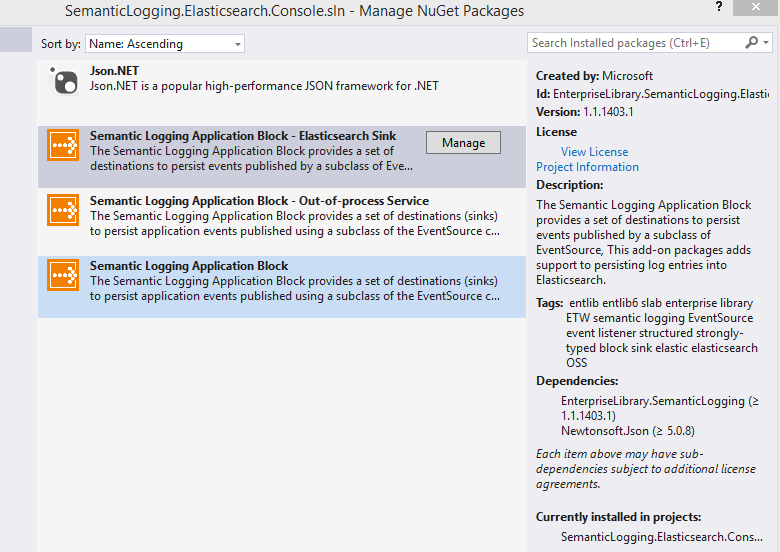 The Enterprise Library team have released a new Semantic Logging Application Block which now includes an Elasticsearch sink. I have also created a Slab.Elasticsearch NuGet package but do not see the point in supporting this anymore, now that it is part of the SLAB itself. One of the major features which my package was missing, was the support for bulk or buffered inserts. This is included in the new package. This BufferedEventPublisher can also be used for any custom sinks which makes the Semantic.Logging very easy to extend now. Required just for Out-of-Process logging. The following code demonstates how to create in-process logging for your application. 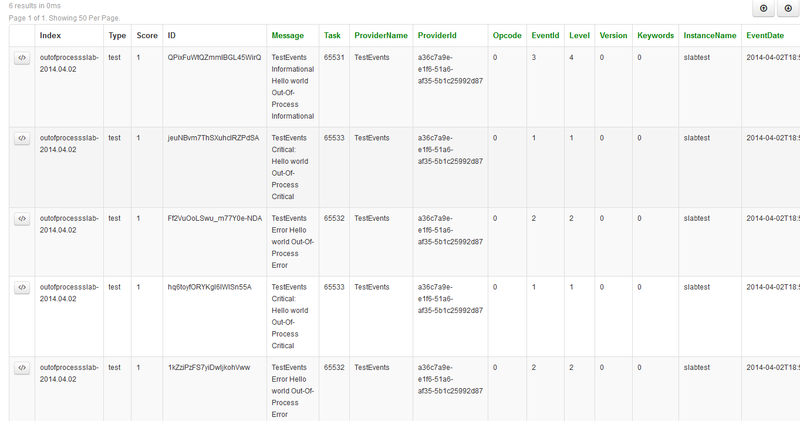 The code adds a listener with logs to the Elasticsearch engine found at http://localhost:9200. If your server is running, logs will be written to the myindex-date index in Elasticsearch. The problem with this solution, is that per default the buffer is set to a 1000 records and added with a bulk insert. When the application stops, logs will/can be lost. The buffer size can be reduced to 1 and the delay to one second. This causes more traffic, but less logs will be lost. A flush function would be nice for in-process logging. Another solution would be to use OUT-OF-PROCESS logging. First remove the in-process logging and just add 3 log events. When the application is started and stopped, all logs will be written to the Elasticsearch search and analytics engine. The new Elasticsearch sink is a great feature and now you have the power of high performance logging with high performance searching. What could be better. Does the listener.LogToElasticsearch support basic auth (login/password)?